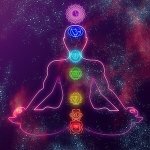 The chakras (centers of distribution of energy throughout the body) are tied into the healing process of the body. The digestive system, for example, is controlled by the Third Chakra (Solar Plexus). The color associated with the Solar Plexus Chakra is yellow. Many of the essential oils associated with healing and balancing the digestive system are…yellow oils. Lemon Essential Oil (remember that this oil, and most citrus essential oils, is phototoxic..do not apply it to your skin before going out in the sun) energizes the Solar Plexus and is a digestive and gall bladder aid. It stimulates the liver and detoxifies the body. Grapefruit Essential Oil has cleansing, detoxifying and purifying properties and is used in weight loss control and as a digestive aid. Ginger Root Essential Oil is an intestinal tonic and can calm nausea. Lemongrass Essential Oil is a (stomach) digestive tonic, calms nausea and is a 3rd Chakra purifier. Fennel Essential Oil is used in eating disorders and is perhaps the best known for use in dieting. It is warming, detoxifying, and a digestive stimulant. It’s a diet aid, as it regulates hunger. Fennel can be taken internally as an herbal tea, not in the form of essential oil. Peppermint Essential Oil is an antidote to nausea and a digestive aid. Spruce and Fir Essential Oils as well as Cedar and Cypress Essential Oils, all have centering and warming properties and promote will power, while easing anxiety. 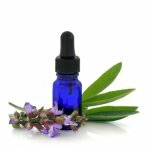 If you want to make a blend to help you keep your resolve to shed any excess weight that resulted from holiday indulgences, the ‘Big Tree’ (wood oils) can be added to any of the oils above….always in a dilution (of up to 20%) in a carrier oil, and stored in an amber or cobalt blue glass bottle. Try rubbing a few drops into your abdominal area or direct palm inhalation.